MEDINA, N.D. — All was quiet in the pasture until Chad Price and Brandon Weatherly started moving bee boxes. Then the persistent buzz in the air was interrupted only by the whir of a passing spray plane or the snap of nearby power lines. The bees haven’t been producing much honey for about a month, Price said Sept. 10. But they’ll stay out for another month or so on the pastures and prairie trails around Medina. After the hives get cleaned up, they’ll likely spend a few months in a “winter palace” that belongs to Miller Honey Farms in Gackle, N.D. The facility, new last winter, may help improve the health of honey bees by cutting down on moves, controlling the environment and possibly eliminating varroa mites with carbon dioxide. After a few months in the “winter palace,” the bees will head west. According to the U.S. Department of Agriculture, North Dakota, with 37.83 million pounds of honey, was the top honey producing state in the country in 2016, nearly double what is produced by neighbors South Dakota, with 19.88 million pounds, and Montana, with 12.243 million, which rank second and third in honey production. Coming in fourth was California, with 11.16 million pounds. Many of the bees that produced honey in the Northern Plains also worked to produce the honey in California, as well as other coastal and southern states. But these days, honey production is a secondary feature of taking bees to warmer climates. Beekeepers now rely as much on the income they generate from taking their bees across the country to pollinate crops as on the income they receive from their honey. 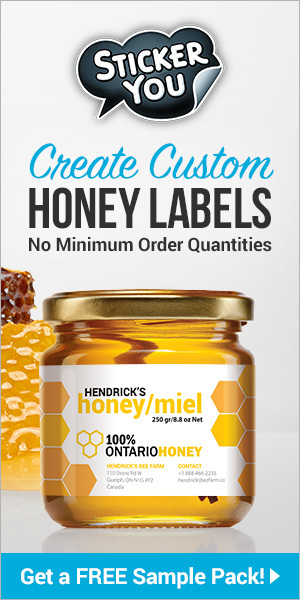 “One in three bites of food that you eat required a honey bee to pollinate,” explained Jason Miller, vice president of Miller Honey Farms. Miller is a fifth-generation beekeeper. His great-great grandfather started the company in 1894, and they now have about 15,000 hives, making them a large commercial operation. In the 1970s, Miller’s father, John Miller, brought bees to North Dakota. Jason Miller was born in Bismarck and spent his childhood summers in the state. Back then, a beehive would produce more than 200 pounds of honey. Now, the average is about 40 pounds per hive, Miller said. The difference comes down to changes in the landscape. As fields that once were in pasture have transitioned to row crops like corn and soybeans, the forage necessary to produce honey has gone away. “What bees and pollinators benefit from has largely gone away in North Dakota,” Miller said. At the same time, almond farms in California have grown from small operations that could be pollinated by native species to “massive monocultures” that require some help to reach maturity. Farmers pay beekeepers to bring bees to pollinate their crops. 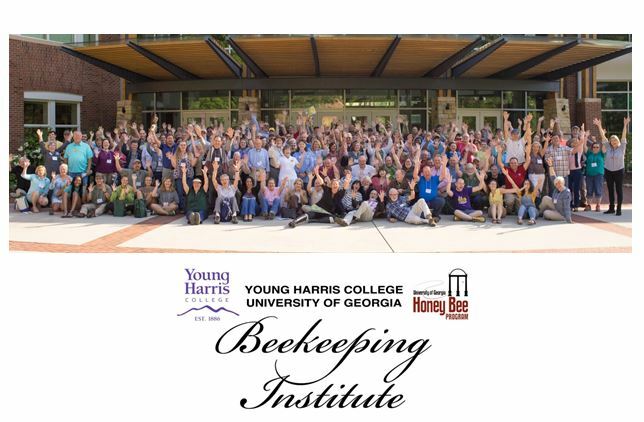 “The way beekeepers survive is by pollinating crops,” Miller explained. 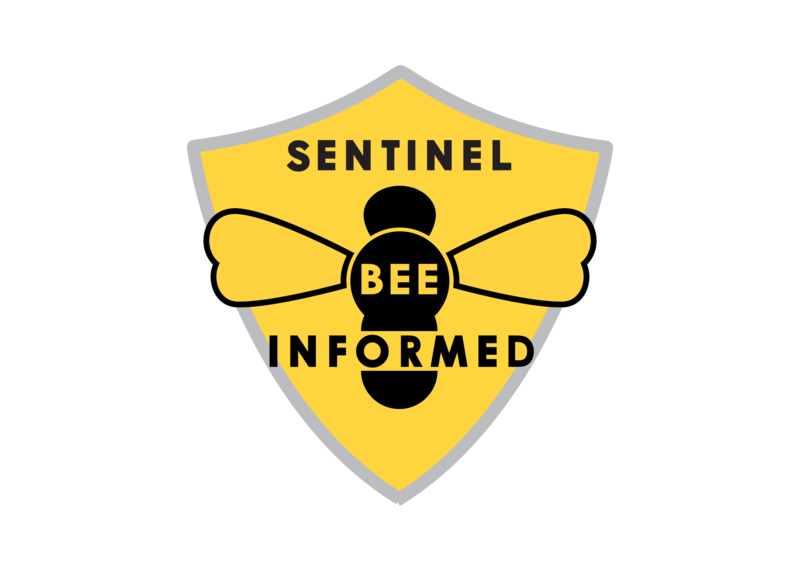 Along with almonds, beekeepers also take bees to citrus groves, apple orchards, and fruit and vegetable farms, among other types of farms, which makes beekeeping important to all aspects of agriculture, he said. This is Price’s second year beekeeping. He’s been learning from more experienced beekeepers, including the Millers, and operating his 3,000 hives around the Medina area. In his first two years, Price has had far from ideal conditions, with a drought in 2017 and extended periods of wet weather this year. Last year, Price took his bees from North Dakota to California for the almond season, but this year, he’s planning to try indoor storage for several months before heading west. Indoor storage, Miller said, is not a new concept. 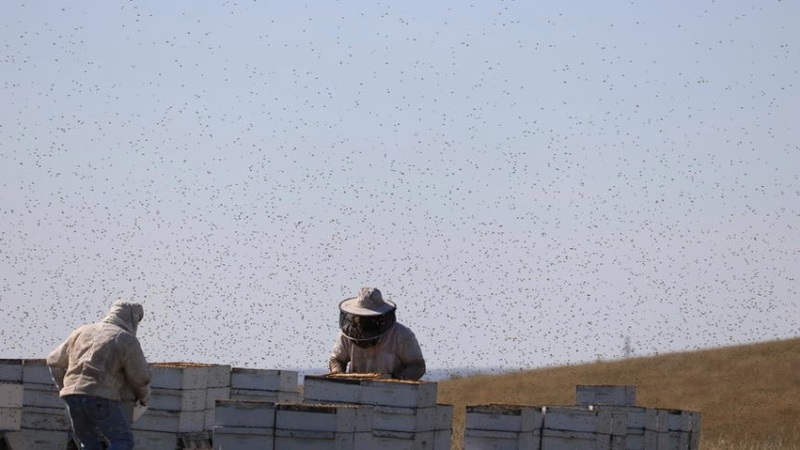 For many years, his family has been renting out potato cellars in Idaho to winter their bees. But that arrangement has several downfalls, he said, in large part because the cellars “are designed to store potatoes, not bees.” So, if the potatoes are stored longer than expected, the bees have to be kept in a holding yard. One of the biggest issues, Miller said, is that hives will lose about 2 percent of their bees each time they’re moved. Some bees in North Dakota would be moved as many as seven times before they ended up in California. Miller Honey Farms decided to build their own facility in Gackle, specifically designed for bees. The building, which they first used last winter, allows them to move the bees only three times. Miller said their company is “on the forefront” of such plans in the U.S., though companies in Canada have been doing the same thing for some time. Miller said the best environment for bees to winter is the inside of a dead tree, where it’s cold, dark, quiet and safe. “What we’re able to do (with the new facility) is mimic that natural environment,” he said. The facility is kept at 30 to 40 degrees, and there are controls to keep it from becoming too humid. The “winter palace,” as Miller Honey Farms refers to the building south of Gackle, also may help combat varroa mites, a major problem for beekeepers. 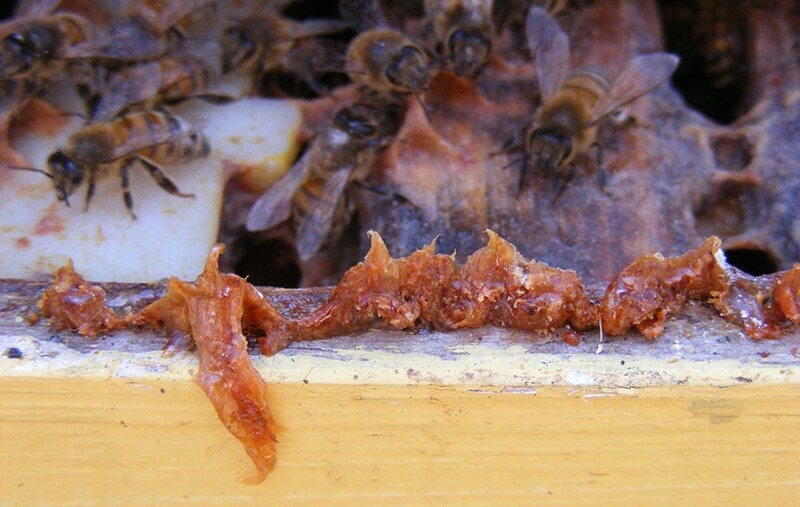 Miller explained varroa mites are very large in relation to honey bees. “It’s the equivalent of a monkey on your back, hanging on you and feeding on you,” he said, noting multiple mites can be on one bee. The mites develop tolerance for chemicals, which makes dealing with them a “constant cat-and-mouse game,” Miller said. “It’s hard to kill a bug on a bug,” he said. Research into the best way to deal with varroa mites includes efforts focused on utilizing RNA interference and organic acids. Research at Washington State University suggests bees can survive a higher level of carbon dioxide than varroa mites can, which means a natural way to help cut down or eliminate mites is to keep the level of carbon dioxide higher. The “winter palace” is equipped with carbon dioxide controls, Miller said. So the Gackle facility may improve hive health both by decreasing moves and providing a way to decrease mites when the bees winter there from November to January, when they move on to their pollinating assignments.